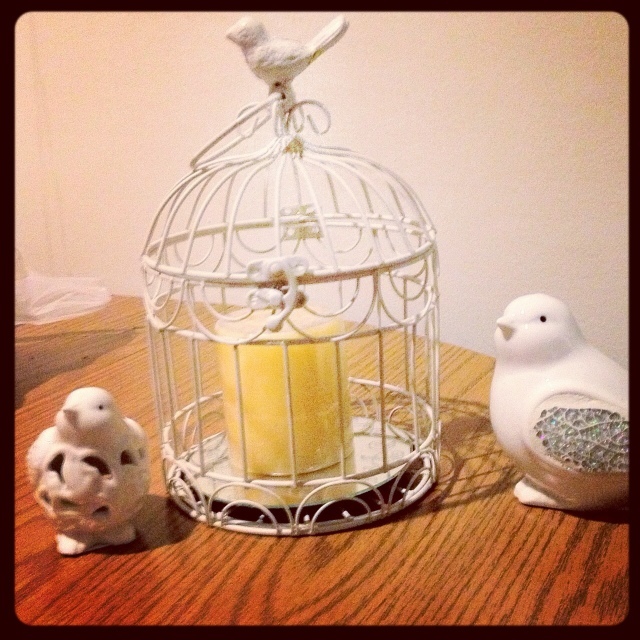 The sale I stumbled upon at Michael’s is at the top of my favorite list this week. I ran in quickly to pick up a paintbrush and came out with a two huge bags filled with 40% off “Spring Decor.” Or fabulous wedding decorations if you’re this girl! Done & Done. Monday night I stayed up until 3am to finish these puppies. I mailed them out Tuesday morning two months exactly before the wedding. 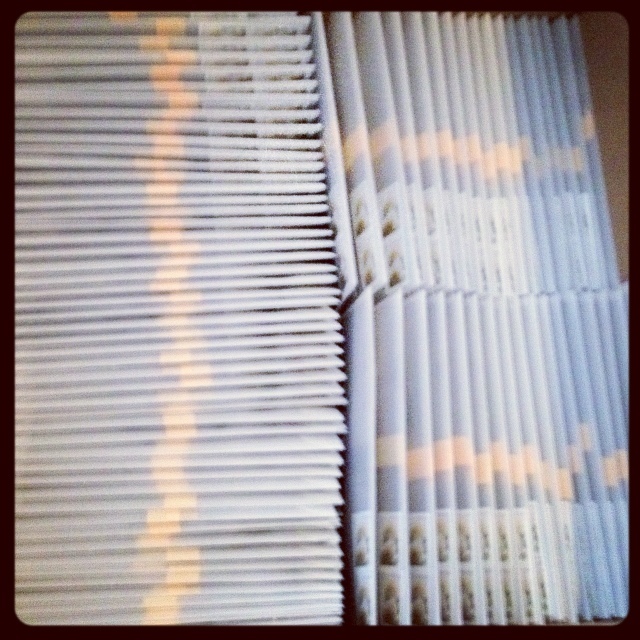 I can not tell you the relief I felt when I handed that box over at the post office. Saturday Jonathan and I took my mom out to dinner to one of our favorite Irish restaurants in Chicago. 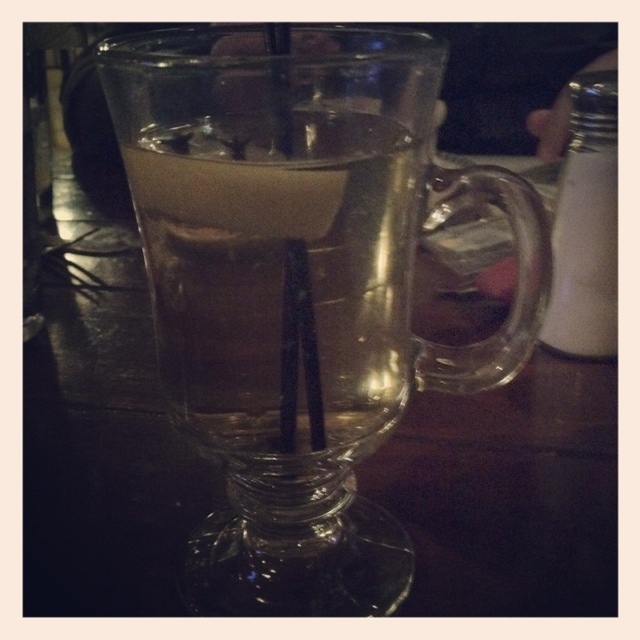 Jon wasn’t feeling well so I ordered him a hot toddy. He had one taste and looked like he was going to upchuck toddies all over the table; so I took over and finished it off. Delish. Then I reminded him that he is marrying an Irish woman, so my at home remedies usually involve alcohol of some type. These koozies. I think there are freaking hilarious, and stumbling upon them this week made me re-think our current favor ideas. I’m sure some people think they might be a tad tacky; I think they are amazingly awesome. I bet you are SO relieved to get those invites out..I know I would be!! 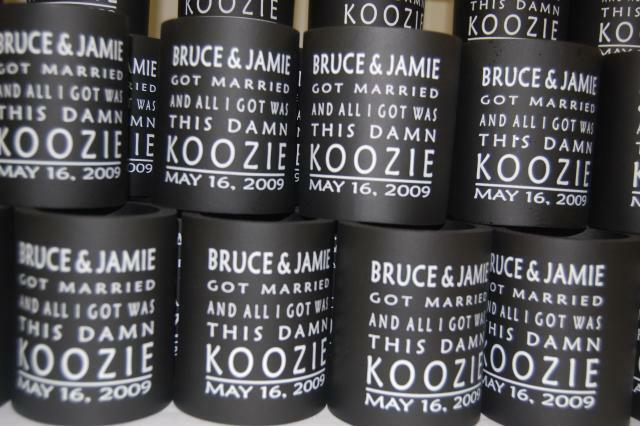 Depending on the overall theme of your wedding, these koozies could be really cute! !